For elderly pet owners, who often live alone or in group facilities, pets can help reduce stress, lower blood pressure, increase social interaction and physical activity and help them learn. “A new pet can stimulate someone to read up on an animal or breed, which can be very mentally stimulating and important at that age,” says Dr. Katharine Hillestad, a veterinarian with the office of Doctors Foster and Smith in Rhinelander, Wis., which provides online advice and retails pet supplies and pharmaceuticals. Pets provide other intangibles. “Dogs—and other pets—live very much in the here and now. They don’t worry about tomorrow. And tomorrow can be very scary for an older person. By having an animal with that sense of now, it tends to rub off on people,” says Dr. Jay P. Granat, a New Jersey psychotherapist. And pets can reduce depression and lessen loneliness. “Older pet owners have often told us how incredibly barren and lonely their lives were without their pet’s companionship, even when there were some downsides to owning an active pet,” says Linda Anderson, who with husband Allen founded the Angel Animals Network in Minneapolis. The couple speaks about the joys of pet ownership and has authored books. In Angel Dogs: Divine Messengers of Love (New World Library, 2005), the Andersons tell about Bonnie, a golden retriever Marjorie and Richard Douse adopted, which became an indispensable family member. “We never felt alone when Bonnie was in the house. As we aged and tended to go out less, she provided us with loving companionship,” the Douses say in the Anderson’s book. Pets benefit, too, particularly when older folks adopt older pets. “These lucky pets go from the pound to paradise. Since most of the adopters are retired, they have lots of time to devote to a previously unwanted pet,” says Chicago veterinarian Tony Kremer, who with his wife Meg operates Help Save Pets—Humane Society, which operates adoption centers. Here are some things caregiver’s should consider when purchasing a pet for their senior mom or dad. Right pet for the right owner. But because people age so differently, the decision needs to be made carefully—and not just by grown loving children who think it sounds like a way to provide camaraderie. Because there’s no single right pet, ask the following questions to help narrow the field, says Dr. Donnenfeld. Are you set in your ways? If you don’t like change, you may not be a good candidate, say the Andersons. Have you had a pet before? Amy Sherman, a licensed therapist and author of Distress-Free Aging: A Boomer’s Guide to Creating a Fulfilled and Purposeful Life thinks it’s best if the elderly person is an experienced owner. Do you have disabilities? Dogs can be wonderful companions who encourage a senior with no major physical limitations to walk and interact with others, Dr. Donnenfeld says. For those who are physically challenged, cats often need less care than dogs, she says. A small dog that’s paper-trained or an indoor bird is also sometimes preferable, she says. Do you need a therapy pet? If the person is very infirm or impaired, they may be a candidate for an assistance or therapy dog to help them function or interact. Is the pet the right age? A puppy or kitten may not be the best choice for elderly owners because of the care they require. A young pet may outlive its owner. Birds especially have long life spans. Yet, it’s also important that the pet isn’t too old since it may start to have physical limitations and get sick, Dr. Donnenfeld cautions. Does the pet have a good temperament? Although some older owners may think a Great Pyrenees would be too big to handle, Daffron found one mixed two-year old so mellow that it would have been a good pet for a senior. “Many older people might think they’d do better with a Jack Russell terrier because it’s small but they are very, very, very high energy and require more effort and commitment. So much depends on personality,” she says. Is the pet healthy? It’s important that any pet be examined by a professional. “You don’t want to compromise an older person’s immune system since some pets carry diseases,” says Dr. Hillestad. One pet or two? While multiple pets can keep each other company, that may not be a good idea for an older person, says Dr. Hillestad. “Two puppies may bond with each other rather than with the owner,” she says. Are finances an issue? Pets cost money. A small puppy can run more than $810 its first year for food, medical care, toys and grooming while a fish is less expensive–about $235, according to the American Society for the Prevention of Cruelty to Animals. If the pet takes ill, dollars snowball. Groups are available to help allay costs. Susan Daffron, author of Happy Hound: Develop a Great Relationship with Your Adopted Dog or Puppy (Logical Expressions, 2006), has taken pets to nursing homes through shelter outreach programs. “I go down halls and people will say, ‘Oh, this looks just like my dog,'” she says. She has also helped elderly folks adopt the right animal. One woman, 86, wanted to be able to walk a dog but didn’t want a hyper pet. “She was good at judging her limitations,” Daffron says. Angie Jones became interested in training therapy dogs after bringing her dog Hunter to visit her late father in a retirement home. “It took us half hour to get to my dad’s room because everyone stopped us along the way and wanted to pet the dog and tell me about their dog,” she says. “Hunter brought my father great joy and opened the door of communication since he was more of a recluse,” says Jones who started Central Ohio Good Shepherds, a chapter of Therapy Dogs International Inc.
Where to find the pet. While breeders are a good source, some shelters also provide a pet for less and offer the advantage of rescuing it from euthanasia. Purina Pets for Seniors partners with 200 shelters nationwide to provide seniors pet adoptions at a reduced cost (www.petsforpeople.com). Local services also exist such as Paws/LA in Los Angeles (www.pawsla.org). Shelter employees often know the pet’s personality well and can make a good match, says Daffron. Online pet shopping is also possible, thanks to sites like www.petfinder.com, which pairs owners with 250,000 adoptable pets from 11,000 animal and rescue groups nationwide. How to provide care long-term for a pet. Because an older owner may take ill or die, it’s important that the pet is provided for in a will and a caregiver named, says Dr. Hillestad. Even more basic is that someone knows that an elderly person has a pet. “If the person is rushed to the hospital, it could be left alone if nobody knows,” says Allen Anderson. Next: What Happens When Elders Can No Longer Care for Their Pets? When Is A Guardian Required for an Adult? Guardianships are set up to protect and help people in need, such as an elder or loved one unable to care for their own financial or health related well being. When is it required? What is the process? When is a Guardianship Required For An Adult? It may be necessary to petition a court to appoint a legal guardian for persons: Who have a physical or mental problem that prevents them from taking care of their own basic needs; Who as a result are in danger of substantial harm; and Who have no person already legally authorized to assume responsibility for them. Under some circumstances, it may be necessary for a court to appoint an emergency guardian, who can act on your behalf during a crisis (such as immediately following a car accident) until you regain your ability to make your own decisions. The precise procedure will vary to some degree from jurisdiction to jurisdiction. The typical steps are as follows:The person seeking the appointment of a guardian files a petition with the probate court for the jurisdiction where the allegedly legally incapacitated person resides. This petitioner is often a relative, an administrator for a nursing home or health care facility, or other interested person. A petition is ordinarily accompanied by medical affidavits or other sworn statements which evidence the person’s incapacity, and either identifies the person or persons who desire to be named guardian or requests the appointment of a public guardian.The court arranges for any necessary evaluation of the allegedly legally incapacitated person. Often, this will involve the appointment of a “guardian ad litem”, a person who is appointed to provide an independent report to the court on behalf of the allegedly legally incapacitated person. If appointed, the guardian ad litem will meet with the allegedly incapacitated person, inform that person of his or her legal rights, and report back to the court on the person’s wishes. The guardian ad litem may also speak to the petitioner, to health care providers, and to other interested individuals in order to provide the court with full information about the allegedly incapacitated person’s condition and prognosis. Depending upon state law, the court may appoint a doctor or professional to examine the allegedly incapacitated person. If the person contests the appointment of a guardian, a trial is scheduled during which sworn testimony will be given, and at the conclusion of which the judge will decide if the petitioner met the requisite burden of proof for the appointment of a guardian. The allegedly incapacitated person is ordinarily entitled to appointed counsel, if unable to afford a private attorney.If the allegedly incapacitated person consents to the petition, or is unable to respond to inquiries due to disability, the court will hold a hearing at which witnesses will provide sworn testimony to support the allegations in the petition. If the evidentiary basis is deemed sufficient, the guardian will be appointed.If a guardian is appointed, the judge will issue the guardian legal documents (often called “letters of authority”) permitting the guardian to act on behalf of the legally incapacitated person.What Are a Guardian’s Duties?The guardian makes decisions about how the person lives, including their residence, health care, food, and social activity. The guardian is supposed to consider the wishes of the incapacitated person, as well as their previously established valued, when making these living decisions. The guardian is intended to monitor the legally incapacitated person, to make sure that the person lives in the most appropriate, least restrictive environment possible, with appropriate food, clothing, social opportunities, and medical care.A guardian may be required to post a bond, unless the requirement is waived by the court. In most jurisdictions where bond is required, waivers are routine. What’s the purpose of court supervision? The court supervises the guardian’s choices on behalf of the ward. After the initial appointment of a guardian, an initial review is usually scheduled, followed by annual reports by the guardian to the court. The purpose of this supervision is to ensure that the legally incapacitated person is in fact benefiting from the most appropriate, least restrictive living environment possible, with appropriate food, clothing, social opportunities, and medical care. 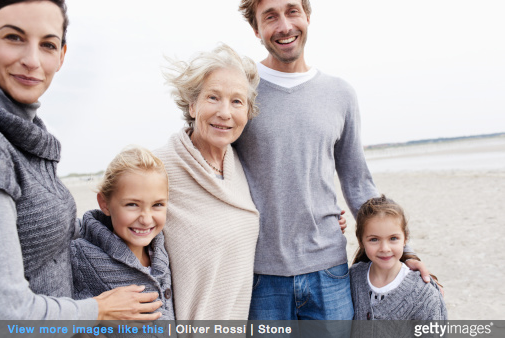 It is possible to avoid the necessity of a guardianship through estate planning. A good estate plan will include a medical power of attorney which will enable a trusted individual to make health care decisions for you in the event of incapacity, and a general durable power of attorney to permit a trusted individual to manage your personal affairs. To a considerable extent, those documents can specify how you wish to live, and how you wish to be treated, in the event of disability – whereas a court or guardian may make decisions with which you would disagree. In most cases, when these documents have been executed in accord with the laws of your state, it will not be necessary for your loved ones to seek the appointment of a guardian or conservator should something happen to you – something that can be cumbersome and emotionally taxing at an already difficult time. It was only after Mariana Cooper, a widow in Seattle, found herself with strained finances that she confessed to her granddaughter that she was afraid she had been bilked out of much of her savings. Ms. Cooper, who lost her home and now lives in a retirement community, is one of an estimated five million older American residents annually who are victimized to some extent by a caregiver, friend, family member, lawyer or financial adviser. said they were financially mistreated in the recent past, according to a study financed by the Justice Department. Traditionally, such exploitation, whether by family, friends or acquaintances, often has been minimized as a private matter, and either dismissed with little or no penalty or handled in civil court. Even when the sums are large, cases like Ms. Cooper’s are often difficult to prosecute because of their legal complexity and because the exploitation goes unnoticed or continues for long periods. Money seeps out of savings and retirement funds so slowly it draws attention only after it is too late. Ms. Cooper, for example, wrote her first check, for $3,000, in early 2008, and later gave Ms. Bauml her power of attorney. In early 2012, after Ms. Cooper realized that Ms. Bauml was not going to repay her in time for her to afford a new roof for her house, she told her granddaughter, Amy A. Lecoq, about the checks. She later called the police. Ms. Bauml maintained that Ms. Cooper gave her money for services she provided as a home organizer or as loans. Later, testing by a geriatric mental health specialist found that Ms. Cooper had moderate dementia, which showed her judgment had been impaired. The diagnosis “helped the jury to understand why she would keep signing all these checks to this woman as loans when she was never being paid back,” said Page B. Ulrey, senior deputy prosecutor for King County, Wash., who pressed the case against Ms. Bauml. The case was challenging in part because Washington State does not have an elder abuse statute, said Ms. Ulrey, who is one of a small but growing number of prosecutors around the country with the specific duty of prosecuting those who take financial advantage of elders, whether it is connected to investments, contracts or other fraud. As the number of complaints grows, more municipalities are trying to combat such abuse, which is often intertwined with physical or sexual abuse, and emotional neglect. Some organizations also have set up shelters, modeled on those for victims of domestic abuse. In the Bronx, for example, the Weinberg Center for Elder Abuse Prevention at the Hebrew Home in Riverdale started such a shelter in 2005. Since then, 14 other such shelters have been opened in various long-term care operations around the country to deal with urgent cases of financial abuse. One such woman, who agreed to talk only if she was not identified by her last name, stayed at Riverdale after she was threatened with eviction. A neighbor discovered that the woman, a 73-year-old widow named Irene, had not paid her rent in six months because relatives living with her had been withdrawing money from her account and leaving her short of funds. She was later able to move to federally subsidized housing away from the abusive situation. To help elders in financial and other distress, more municipalities, using federal funds, are training law enforcement officers, prosecutors, and social workers how to spot the sometimes subtle signals that may indicate someone has been swindled. 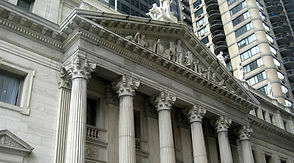 “We see many cases where someone convinces an older person to give them the power of attorney, and then uses that authority to strip their bank accounts, or take the title of their home,” said Amy Mix, a lawyer at the AARP Legal Counsel for the Elderly, which works with the Adult Protective Services division in the District of Columbia government as well as the city’s police department. In the most recent fiscal year, 934 cases of abuse were reported in Washington. About one-quarter of those were financial exploitation, according to Sheila Y. Jones, chief of Adult Protective Services. “And they involve millions of dollars,” she said. But many cases are not counted officially because older people are reluctant to pursue legal remedies against relatives and friends. Louise Pearson, 80, a retired government computer analyst, declined to press charges against a security guard in her building who had befriended her and later obtained $30,000 from her savings. “There was something about him you just had to take to,” Ms. Pearson said. When she finally asked Malika Moore, a social worker at Iona Senior Services in Washington, for some assistance with her shaky finances, the social worker realized that the situation was serious. In Seattle, Ms. Cooper’s granddaughter expressed determination to educate others on the warning signs of financial abuse. “I wish we had known some of the red flags,” she said. But even though she’s a trained social worker, it’s not surprising she missed the signs. She was deeply involved in caring for her mother, Ms. Cooper’s daughter, who was fighting cancer and died shortly before the period when her grandmother was writing the checks. Once Ms. Lecoq and her husband, John, recognized what had happened, they pushed for prosecution. Ms. Ulrey, the prosecutor, said the case required medical tests and search warrants for both the victim’s and the suspect’s financial accounts. To help older people, families and friends should be on the lookout for some of the warning signs of financial abuse. These include not being able to cover normal expenses; paying for excessive, unexpected gifts to others; and signing over power of attorney or transferring property to unrelated individuals. by the Consumer Financial Protection Bureau and the Federal Deposit Insurance Corporation. by the Consumer Financial Protection Bureau and the Securities and Exchange Commission. by the United States Department of Justice and Department of Health and Human Services. Brian A. Raphan Appointed as Special Referee for the Supreme Court State of New York, uncovering elder abuse in the form of financial exploitation for $797,000! With the just-announced September 2015 Consumer Price Index for All Urban Consumers (CPI-U) actually lower than the comparable figure in September 2014, the betting is that next year’s Medicaid’s spousal impoverishment figures and related numbers will remain the same as 2015. In an email to his state colleagues in the National Academy of Elder Law Attorneys, Pennsylvania ElderLawAnswers member Robert Clofine points out that the last time the CPI-U was lower than the previous year (in 2009) , the Centers for Medicare and Medicaid Services (CMS) did not adjust the Medicaid numbers downward but kept them level. This means that the 2016 community spouse resource allowance (CSRA) should continue to be a maximum of $119,220 and a minimum of $23,844. The maximum monthly maintenance needs allowance should remain $2,980.50 a month and the income cap stay at $2,199. Medicaid’s home equity limits should also be unchanged at a minimum of $552,000 and a maximum of $828,000. If the patient was at a hospital first and then a nursing home which do we sue? 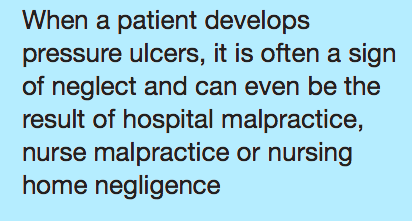 It always depends on individual and medical circumstances but the possibility exists that both are liable. Often an injury begins in a hospital, may not be reported and/or is overlooked or neglected on intake at the second facility where it may get worse or lead to infection and other medical issues. A case may be medical malpractice on behalf of a facility or doctor. There may be hospital negligence and nursing home liability as well. In unfortunate and sad circumstances it may be a wrongful death lawsuit, where a family member or loved one may have the right to recover losses. Our team of experts will help determine the best options for for your bedsore or pressure sore, decubitis ulcer lawsuit. What if the patient is too ill to appear in court? This is not an issue and often the case with bedsore victims. For bedsore and pressure sore lawsuits there’s a legal team that includes experienced bedsore litigators, and medical professionals that can testify based on patient medical records and treatment or lack of and improper treatment. As well as other expert witnesses that look into hospital procedures, policy and practices and determine if any federal violations were evident or standards of procedure were not met. Medical records and pictures of wounds are used. How much does it cost to sue? There is no fee to you unless we win. When we accept a case we put in the resources and hours of our bedsores legal team because we are confident of a successful outcome based on the facts of the case. If we take on your case it’s because we see huge upside financial potential for the victim or family of the victim. We work on contingency—no upfront fee or time billed to you. When you win we get an agreed upon portion of the award. Will beginning a lawsuit get better care for the victim? Once a hospital or nursing home knows a bedsore lawsuit is possible, often the care and treatment of the patient improves. This is because now they know they are under scrutiny and may be even further liable legally if not giving the proper care and medical attention after the sores have been documented by family and bedsore lawyers. Additionally, our law firm will let you know the standards of care that is necessary for you or your loved one. We can even help guide you on the best way to discuss issues with the doctor or staff and get the desired results. I want to sue – does it take long? Does my dad have to appear in court? Timing of a case varies. With expertise and experience and a hands-on approach we move swiftly. The size of our firm allows us to focus on cases so they don’t get lost in the shuffle. Many times cases are settled before even going to court. Of course, the plaintiff has a say in this decision and we do what is best for our client. How do I know if I have a good bedsore lawsuit? The nurse said the sores were caused by my father and existed. Don’t put much credence in the opinion of anyone that isn’t a legal expert. Even a medical professional or doctor doesn’t have the legal knowledge and they or facility administrator may even try to persuade you against a bedsore or pressure sore lawsuit. Such tactics aren’t new. Don’t be a victim twice. Consult with legal professionals when medical ones let you down. For more information or to see if you have a valid lawsuit, click here. 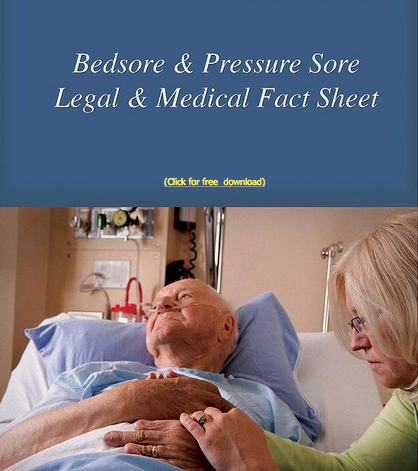 To download a Free Bedsore Fact Sheet, click here. The Law Offices of Brian A. Raphan, P.C. A U.S. Court of Appeals upholds a district court ruling that granted class certification to a group of disabled nursing home residents who complained of a lack of Medicaid-funded community-based alternatives. In re District of Columbia, (D.C. Cir., No. 14-8001, June 26, 2015). The plaintiffs, a group of disabled nursing home residents receiving Medicaid-funded long term care, sued the District of Columbia for allegedly violating its obligation, pursuant to the Americans with Disabilities Act, to provide services to the disabled in the most appropriate, integrated setting. The plaintiffs filed a motion seeking class certification, asserting that they were all similarly situated nursing home residents who wanted to live in the community but were forced to remain institutionalized against their will. The U.S. District Court for the District of Columbia granted the motion for class certification, finding that alleged systemic deficiencies, such as the District’s failure to offer sufficient discharge planning or to provide residents with meaningful choices of community-based alternatives to nursing home care, were sufficient bases upon which to certify the class. The District filed a petition for permission to file an interlocutory appeal of the district court’s ruling certifying the class. The District argued that the lower court committed manifest error by failing to identify policies or practices that were common to all members of the class and that were amenable to class-wide resolution. The U.S. Court of Appeals for the District of Columbia Circuit disagrees and upholds the class certification. The court concludes that it was not manifest error for the lower court to find the allegations of systemic deficiencies in the program sufficient to establish a class of plaintiffs. Another case handled by Brian A. Raphan, P.C. was on the Cover Page of the New York Law Journal last week. I was appointed as Special Referee by the Supreme Court of the State of New York to perform a forensic review of Nassau County attorney Martha Brosius’ handling of a senior citizen’s financial affairs. Brian uncovered many undocumented and improper financial transactions and filed his detailed analysis to the Court. As a result of my report, criminal actions were commenced against attorney Brosius, which ultimately led to a guilty plea. Brosius now faces 6-12 years behind bars. Of course, she will lose her license to practice law. Another win for the good guys! The article is provided below. 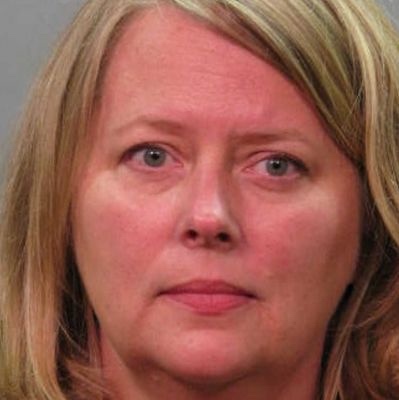 A Long Island elder law attorney has admitted to embezzling more than $797,000 from her clients over a four-year period, the Queens District Attorney’s Office announced on Tuesday. Martha Brosius, 52, of Brosius & Associates of Great Neck, appeared Tuesday before Acting Supreme Court Justice Helene Gugerty and pleaded guilty to two counts of second-degree grand larceny and one count of scheme to defraud, according to a news release from Queens District Attorney Richard Brown’s Office. “The defendant has admitted to breaching her fiduciary duty and unjustly enriching herself at the expense of her client,” Brown said in the release. Brosius was indicted for the offenses in 2013. Her clients included a 77-year-old man who had been deemed mentally incapable and for whom Brosius served as legal guardian, as well as two brothers who retained Brosius to sell their deceased father’s estate and establish a special-needs trust for their disabled sister, who was the sole heir to the father’s estate. Brosius is scheduled to appear before Gugerty on Aug. 12 for sentencing. Gugerty has indicated that her prison sentence would range between four and 12 years. Brosius is a graduate of the St. John’s University School of Law and was admitted to the bar in 2003. According to the Office of Court Administration website, she has not been publicly disciplined. Her guilty plea will subject her to mandatory disbarment. Assistant District Attorneys James Liander and Yvonne Francis appeared for the Queens District Attorney’s Office. FOR THE DISTRICT ATTORNEY’S PRESS RELEASE Click Here. Every so often a client says to me, “I’ve been gifting money to my children and grandchildren so I can apply for Medicaid.” While gifting may offer benefits to you and your family, if you think you may someday apply for Medicaid benefits, you should be aware that giving away money or property can interfere with your eligibility. Under federal law, if you transfer certain assets within five years prior to applying, you may be ineligible for Medicaid benefits for a period of time. This is called a transfer penalty, and the length of the penalty depends on the amount of money transferred. (This waiting period can also be costly as you may pay for your care out of your own pocket.) Even small transfers can affect eligibility. Although federal law currently allows individuals to gift up to $14,000 a year without having to pay a gift tax, Medicaid still treats that gift as a transfer. Any transfer that you make, however nominal, may be scrutinized. For example, Medicaid does not have an exception for gifts to charities. If you make a charitable donation, it could affect your Medicaid eligibility down the road. Similarly, gifts for holidays, weddings, birthdays, and graduations can all trigger a transfer penalty. If you buy something for a friend or relative, this could also result in a transfer penalty. Some people have the notion that they can also go on a spending spree for themselves or family. Not so fast. Spending a large sum of cash at once or over time may prompt the state to request documentation showing how the money was spent. If you don’t have receipts showing that you received fair market value in return for a transferred asset, you could be subject to a transfer penalty. a trust for the sole benefit of anyone under age 65 who is permanently disabled. your sibling who already has an equity interest in the home and who lived there for at least one year before you moved to a nursing home. Before transferring assets or property, check with us or your elder law attorney to ensure that it won’t affect your Medicaid eligibility. For more information on Medicaid’s transfer rules, click here. If you have a question you can send us a message here. Reversing a lower court, a Kansas appeals court rules that a Medicaid recipient’s family cannot enforce a promissory note against her estate in the name of equity because the statute of limitations for enforcing the note has passed. In re Estate of Area (Kan. Ct. App., No. 110,768, May 29, 2015). Five of Blanche Area’s children lent her money to build a house. Ms. Area signed a promissory note, agreeing to repay the loan, which was due in full on July 1, 2005. Ms. Area never made any payments on the loan. In November 2010, she moved into assisted living and received services paid for by Medicaid benefits. Ms. Area died intestate, and the state successfully petitioned to administer her estate in order to recoup the Medicaid benefits. Ms. Area’s children petitioned the estate for repayment of the promissory note. The estate denied the claim because the five-year statute of limitations had passed, and the children appealed. The trial court ruled that the note was valid under the principle of equity, and that the loan should be repaid. The estate appealed. What Rights Do Bedsore Victims Have? The defendants insurance company may ask you for a recorded statement describing the appearance of bedsores and your treatment. Remember you have no obligation to give them such a statement, nor is it wise to do so. The defendant’s insurance company will ask you for authorizations to obtain your medical records. Let your attorney release your records after he or she has reviewed them. It’s best not to offer information by yourself. Some insurance companies will offer you money to settle the case before you contact an attorney. In this situation the insurance company knows they will have to pay out money and they hope to settle the claim before you hire an attorney who can negotiate and demand a higher amount. Always consult an attorney if an insurance company is offering you money. By doing so you will in all likelihood increase your net recovery even after taking out the lawyers fee. Once a bedsore case is settled and the defendant is released, regardless of whether you make a full recovery or not, the money you received cannot be taken away, it is your money…tax free. If you need surgery, it is important to go forward with that before you settle your pressure sore or bedsore lawsuit. If you are persuaded by a hospital or nursing home and settle a case on your own, only to find out 6 months later you have more serious conditions than first thought, you have forfeited your rights to recover additional money. That is why it is so important to contact an experienced bedsore attorney before you sign anything. You are able to sue for and recover a monetary award from new injuries and infections and the aggravation of old ones caused by bedsores or pressure ulcers. or chair will start to discolor. This shows that the skin is in danger of ulcerating. • Grade IV – necrosis (death) or damage to the skin patch and underlying structures, such as tendon, joint or bone. • Abscess (a collection of pus).